The Gallery on Main Street in Malden hosted a public celebration of the Hindu festival of Diwali tonight. 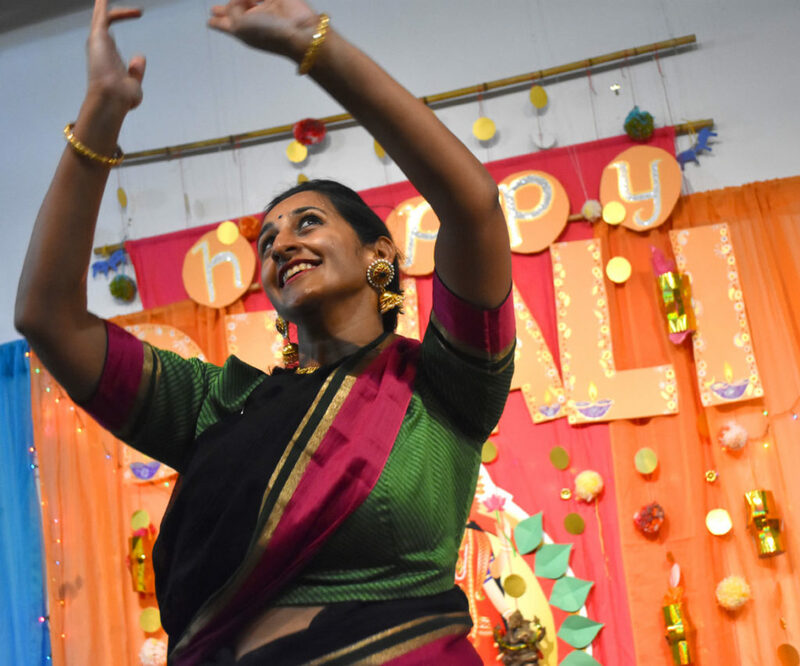 “Diwali is known as the festival of lights,” Shikha Vyas told the audience, “which is a symbol of the coming of Lakshmi, who is known as the goddess of wealth. 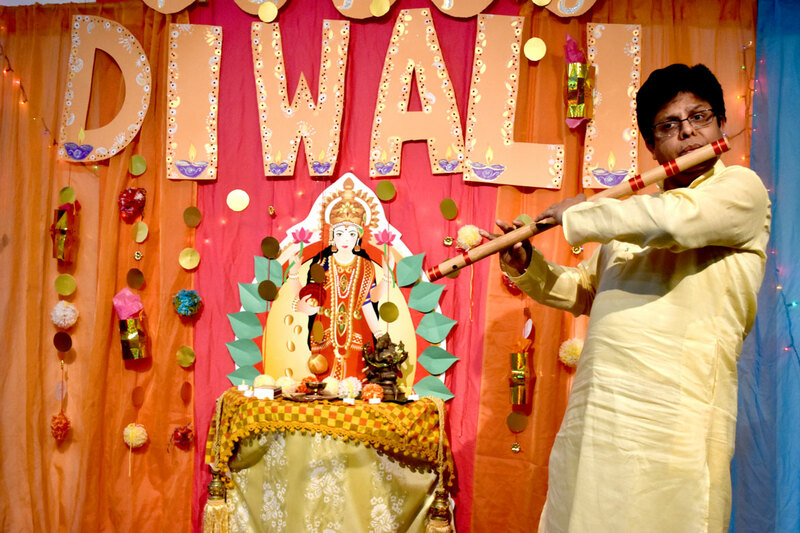 Diwali is also celebrated to welcome Rama,” who fought a demon army to rescue his kidnapped wife. 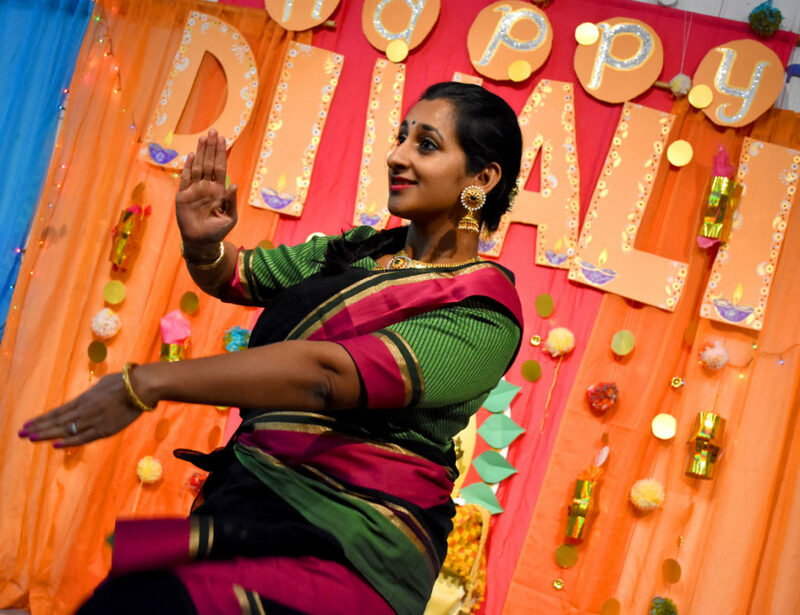 Traditionally the Hindu holiday honors a victory of light over darkness and good over evil. 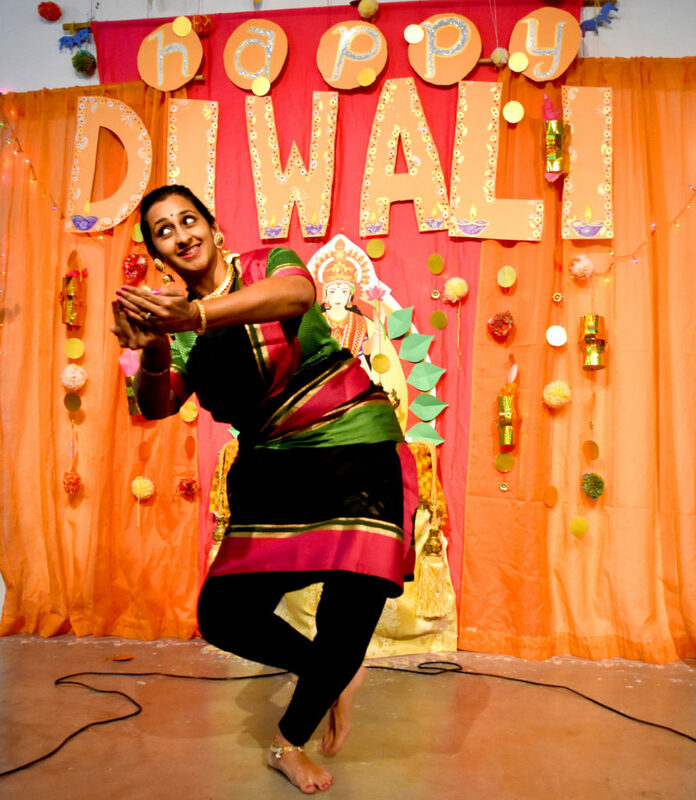 During the evening, Amrutha Ananth danced classical Bharatanatyam to singing of Carnatic music by Aditya Venkatesh. Vivek Sonar played ragas on his flute. Ananth then led the audience in some Bollywood dance moves. 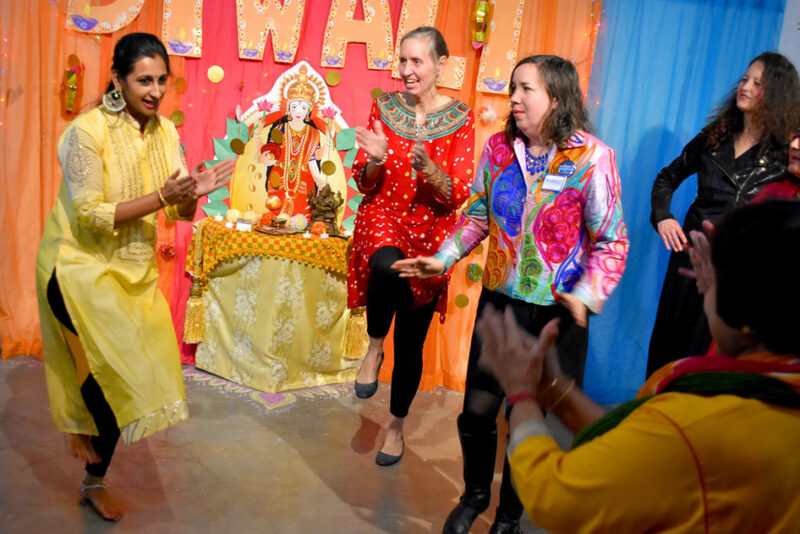 • Boston’s Children’s Museum celebrates Diwali with activities on Sunday, Nov. 4, from 11 a.m. to 4 p.m.
• Boston’s Museum of Fine Arts hosts Diwali events on Wednesday, Nov. 7, from 5 to 10 p.m.
• One of the most delightful big community celebrations of Diwali around these parts is the United India Association of New England‘s shindig with music, dancing and food at Brown Middle School in Newton on Sunday, Nov. 11, from 3 to 6:30 p.m.